With the newly introduced motor detariffication (where premium is no longer solely determined by vehicle sum insured and engine capacity but also by the risk profile of the individual driver), it now has become even more important for Malaysians to compare car insurance prices. For this reason, we at iBanding decided to carry out a car insurance comparison by 6 companies in Malaysia via their online insurance portals. iBanding recently was lucky enough to have a member in its team whose motor insurance policy was nearing its expiry date. We quickly took this opportunity to see how far motor detariffication in Malaysia has changed the renewing process as well as the premium charged by different companies. We also wanted to find out which company is providing the cheapest car insurance. For the purpose of this study, we will be using the following information to find out how much will a comprehensive policy will cost us. With all this information in hand, we proceeded to check the car’s current market price on MyCarInfo which came up to RM29,000. We noticed that several information that was not required before the implementation of motor detariffication is now being asked on the companies’ websites. The table below shows the information required by each company. Safety features: Includes any feature/ technology assisting in the prevention of car crash. Example: Airbags, anti-lock brakes (ABS), traction control, electronic stability control, safety-belt feature, accident avoidance systems, tire-pressure monitors, telematics. Anti-Theft: Any device used to prevent or detect unauthorized access to the car. Example: Gearshift locks, ignition/ steering wheel column and crook locks, gear shifter locks and brake pedal locks. The outcome, although expected, was still a little surprising to all of us. Despite knowing that immediate, drastic changes were unlikely, we did not expect to see that there were no difference in prices among the companies. The only oddball being AmGeneral / Kurnia that was due to the higher sum insured, which we were unable to adjust. To read about the experience we had in getting these prices from all the six companies, please go to the end of this article. The second phase of motor detariffication allows insurance companies to set their own prices for products offered. It is perhaps too early to assess the impact of detariffication as insurance companies are taking a cautious approach in adjusting their prices while keeping a close eye on the competitors. It is a crucial time for the insurance companies. Careful planning in pricing strategy is required to ensure their profitability and market share are not significantly impacted by this change. 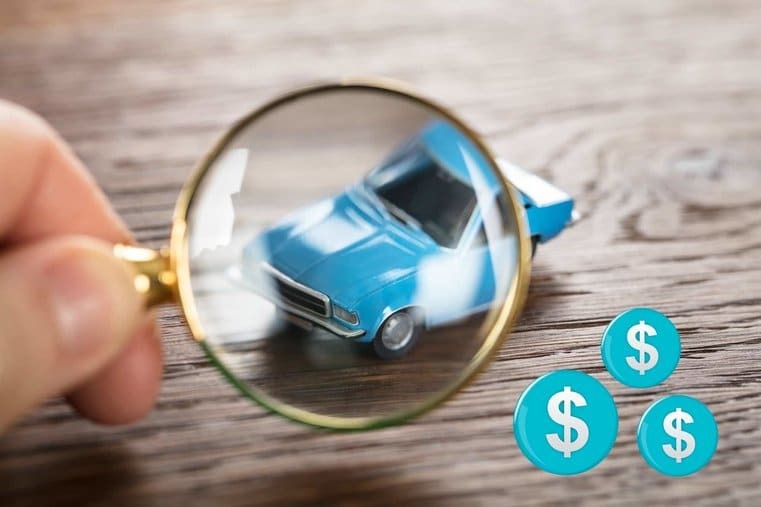 The impact of motor detariffication is minimal, but customers will eventually feel the change and will compare car insurance plans more often. Insurance companies are already introducing new and innovative products to put themselves ahead of the competition. Such as the AXA FlexiDrive launched in July that saw the first telematics insurance being introduced in the country. Consumers need to prepare for the shift that is taking place in the motor insurance industry. An unconcerned and apathetic attitude towards it may result not only in higher premium but also unnecessary purchase of add-ons bundled in the policy. Consumers should know the impact their risk profiles have on their insurance premium, as well as a clear understanding of the product that they need. To read more about motor detariffication and how it will affect you, please click here. Below you will find our experience for the 6 different insurance companies. Note that renewal is done via each company’s online portal. Etiqa first asked for basic information as you can see from the picture below. 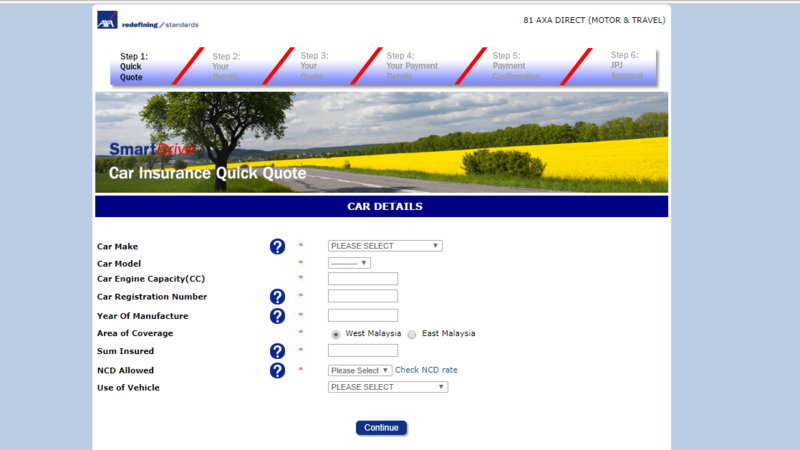 As soon as we clicked “get a quote”, we were required to provide more detailed information. One notable experience with Etiqa is that they do not ask for the availability of a garage, safety features and anti-theft systems. 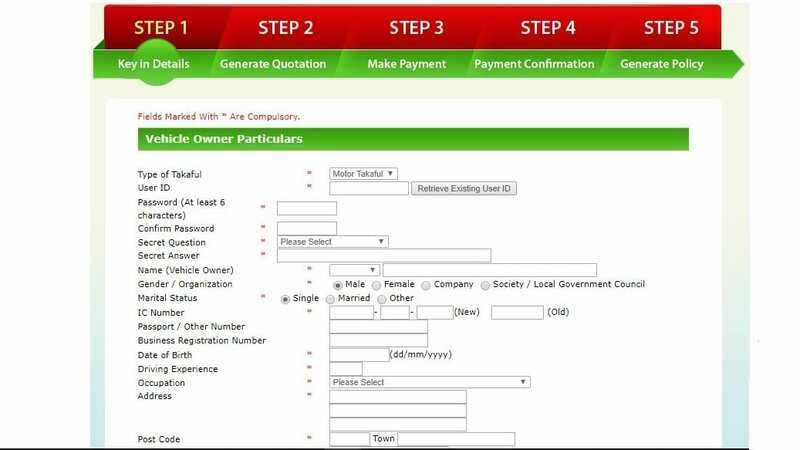 However, there were several questions required by Etiqa that were requested by only one other company, such as car variant, type of driving license and registration card number. The premium by Etiqa could not be obtained as we received the following error message: “NCD confirmation is unavailable as confirmation already been taken earlier. 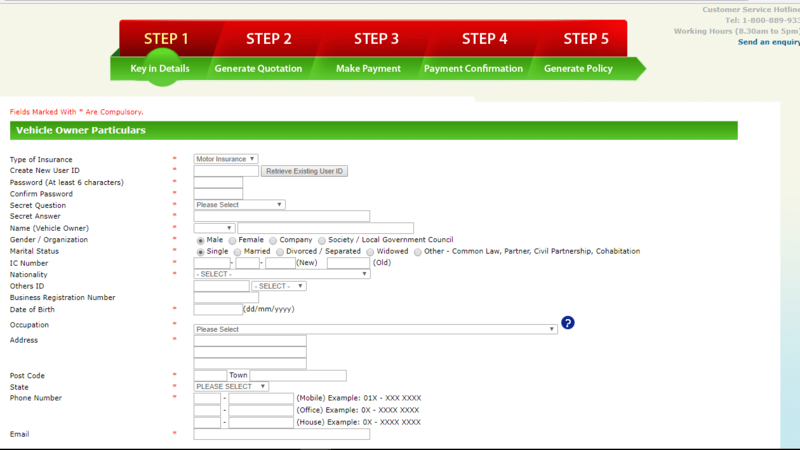 Make sure no duplicate confirmation request, if not the confirmation already taken by another insurance / Takaful company”. With this error, we could not continue any further with the renewal process. Due to this error, we had to minus 1 star from our 5 star user experience rating. Requesting for a quotation from Syarikat Takaful Malaysia was a breeze as they have their own fast and easy to use online system. Users can get the quotation right off the bat, as shown in screenshot below. Takaful Malaysia does not request for occupation, driving experience, traffic conviction, and all the information associated with the new risk profile after the implementation of detariffication. 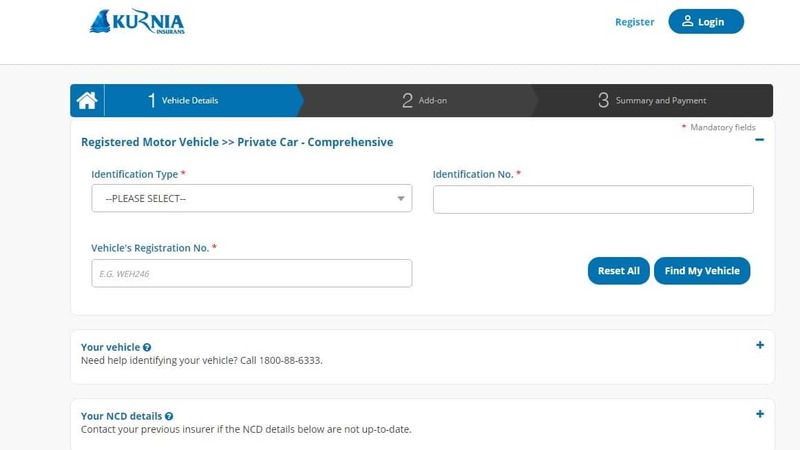 Renewing motor policy through Berjaya Sompo’s online platform was a tiring process. We had to key in all the information required manually. Berjaya requires you to answer 8 questions in total. Axa Affin’s process to buy insurance looked very simple. With a few information, you can already get a quotation. But here is the catch, the price shown is not really the price you might be paying for. When you decide to actually buy, you are asked for more information and are shown the final price. Compared to other insurance companies Axa Affin asked for the most number of information from buyers. The process is quite long and tedious. Especially if you do not have the information at hand. The process to renew our policy with Takaful Ikhlas is more or less the same as the process we went through with Berjaya Sompo. This is due to the fact that they are actually using the same online platform. 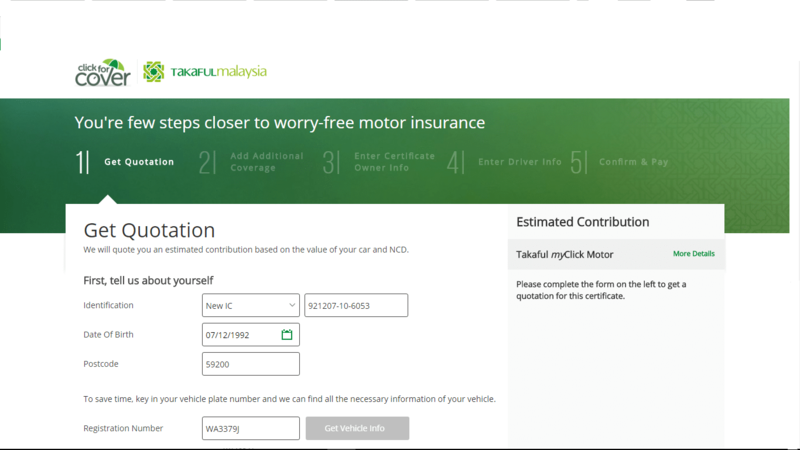 Takaful Ikhlas asks for chassis number, unlike four other companies. Generally, the process is cumbersome and tiring. The renewing process with AmGeneral/Kurnia was a simple one. AmGeneral/Kurnia asked for the least number of information. Only 6 information was required because most information is retrieved automatically based on the vehicle number. However, we did encounter an error message saying “Could not complete the request. Please retry, reason undefined”. This error caused us to redo everything. We checked that no information provided was erroneous and tried again and it worked. -1 star for the error, because we had to repeat the process again. Another downside is that we were not able to adjust the sum insured. For that missing functionality -1 star. What are your experiences? Have you tried to compare car insurance prices before and did you find our car insurance comparison guide to be useful?